Mini Duchess 24kt Gold Necklace Pen [PKDUN24] - $33.60 : AnkleBiter Woodworks, When all else fails, send in the dacschund! 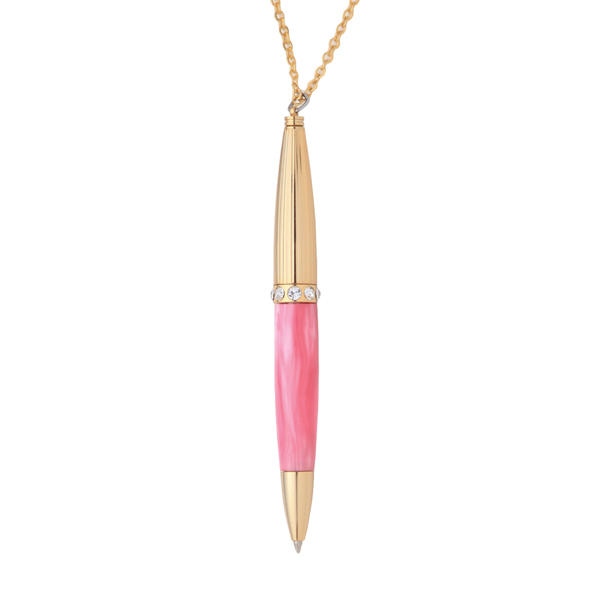 The ultimate in ultra-light elegance, this 24kt Gold plated Mini Necklace Pen is the ideal gift for the woman on the go. Features the same etched metal styling and affordability as our original Duchess, but only 4-/12" long. Includes a super strong earth magnet quick release clasp and chain. Instantly and conveniently releases and reattaches. Uses a standard mini style refill. 24kt Gold plating includes a lifetime guarantee.